If you're into skincare, you must know about COSRX. It's a Korean brand that has a line of affordable yet super effective products. They have products with simple packaging but they take their formula and ingredient lists very seriously. They also have the most amazing customer service and really listen to their customers to either improve existing products or create new products. Oh, and yes, they have the most adorable "mascot", Mr Rx! So yes, as you understand, COSRX is a brand that I love. I've already tried their pimple pads (holy grail item! ), BHA liquid, AHA liquid, snail mucin power essence, and have their galactomyces toner waiting to be used. 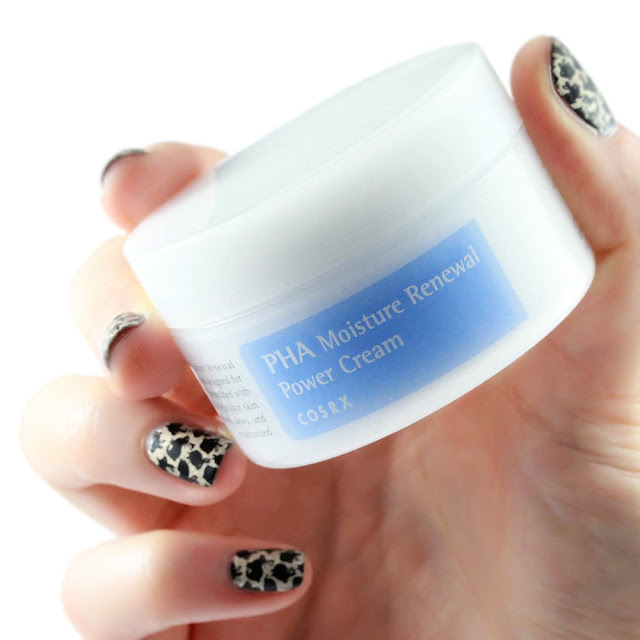 Today I have a first impression review on a brand new product that will launch end of April (I think, not 100% sure of the date): the PHA Moisture Renewal Power Cream. I received it from Jolse.com for review purposes but ingredients are still kept secret so this is a "blind review" and I will focus on how it feels and how I like it. As I said, it's a first impression since I only got it a few days ago but Jolse wanted to have the reviews up by April 16th. 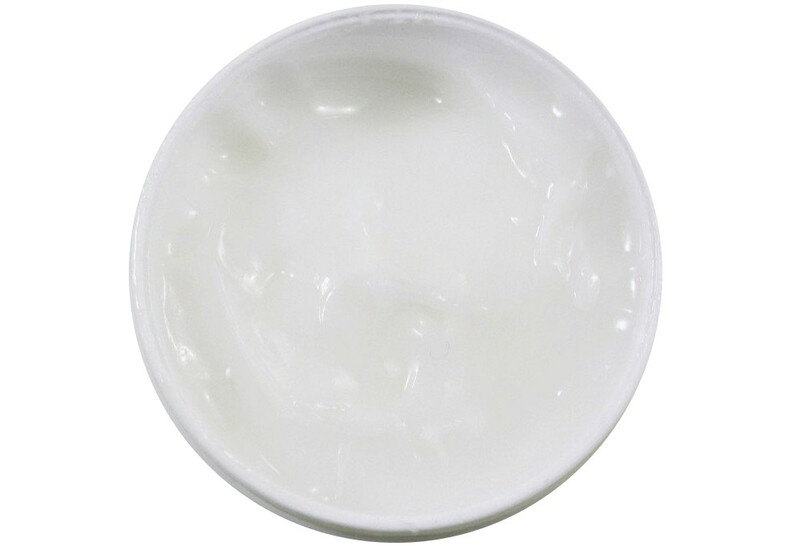 This is PHA cream, as the name suggests :D PHA stands for Polyhydroxy Acid(s). Polyhydroxy acids are exfoliating acids that act more or less like AHA (alpha hydroxy acids). As there are a couple of different types of acids and for the sake of clarity, here is a little break down of the different acids you can find in skincare, aka BHA, AHA, and PHA! BHAs (Beta Hydroxy Acids, e.g. salicylic acid) are liposoluble exfoliants that can goes into the pores where sebum accumulates, i.e. they unclog pores. BHAs are particularly interesting for normal to oily skin types, if you have enlarged or clogged pores. They're also better than AHAs for sensitive, redness-prone skin as salicylic acid has soothing and anti-inflammatory properties. AHAs (Alpha Hydroxy Acids, e.g. glycolic acid) exfoliate skin surface by "ungluing" dead skin cells (reducing corneocyte cohesion at lower levels of the stratum corneum). AHAs are water soluble and are usually preferred by normal-dry skin types. AHA is best for people with rough skin lacking firmness. AHAs are often associating with skin irritation (stinging and burning sensations). They can also slightly increase sensitivity to the sun and the use of a sunscreen is recommended when using AHAs. PHAs (PolyHydroxy Acids, e.g. lactobionic acid) are the third generation of exfoliating acids. They provide similar effects as AHAs but do not cause the sensory irritation responses that can limit the use of AHAs (1). They can be a great alternative for sensitive skin that cannot tolerate AHAs. They also provide antioxidant properties in addition to exfoliation! In summary, PHAs have a larger molecular structure than AHAs. They are therefore expected to be absorbed into the skin somewhat more gently and more gradually than traditional AHAs (they are still "small molecules" (lactobioniac acid's MW is 358.30) and can therefore penetrate the skin). They provide similar anti-aging effects as AHAs but are more gentle to the skin and do not cause any of the sensory discomfort that AHAs have been known to impart (stinging and burning sensations). 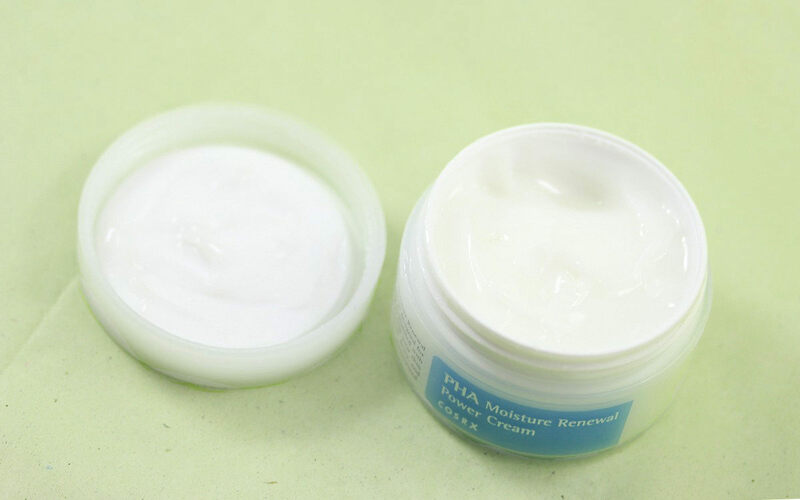 PHAs provide additional humectant and moisturization properties compared with AHAs and can enhance stratum corneum barrier function, therefore increasing the skin's resistance to chemical challenge. Most PHAs also possess antioxidant properties (1, 2, 3). Concerning the COSRX PHA cream, I don't know which PHA they used (could be gluconolactone and/or lactobionic acid) and which concentration they used. So I'll let you know my first impression without going more into details about the ingredients. My skin type: normal, sensitive. I don't like heavy creams and prefer layering several lighter products. I love BHA but my skin doesn't like AHA so much. For example, it was OK with the recent Dior wash-off mask I've tried (here) but the COSRX's AHA 7 Whitehead Power Liquid (leave-on exfoliant, you could also wash it off after a few minutes if you prefer) was too much for me. Typically it stings and tingles and I'm not very comfortable using it. That's why I was super curious to try the PHA cream since it's considered better for sensitive skin and it should cause less to no irritation. I had never tried any products containing PHA before. The product comes packaged in a 50mL/1.69 fl.oz plastic jar. It has an hermetic seal that is a bit difficul to remove each time you have to open the jar (maybe because I have been travelling with it and have had the jar stored up side down in my travel bag). The cream is a white cream that it gellified so it's a gel-cream hybrid. That said, it feels emollient and is therefore closer to a cream than a gel in terms of feel and texture. It's still stays rather lightweight and doesn't feel greasy at all. It feels a little bit silicone-y and if you apply a lot of product it can feel a bit sticky for a couple of minutes (I noticed that when I tested it on my hand). When I apply a normal amount on my face, I can't feel it though. It takes a couple of minutes to get absorbed and I have the impression it creates a thin film on my skin but nothing incomfortable, and it doesn't ball up or acts weirdly. I didn't notice any scent. As I said before, I've only started using it a few days ago so that's definitely a first impression! I use it in the evening after my BHA (cosrx pimple pads), Apieu's Madecassoside fluid, Melano CC lotion, and cosrx snail mucin essence. After applying these products, I usually do something else and after a couple of hours, I apply my moisturizer, here COSRX PHA cream. The cream is easy to spread, it has a nice slip. It doesn't feel heavy on the skin but I can feel its moisturizing properties. From the first impressions I've seen on IG, I've seen that some people don't find it moisturizing and that some people even find it drying. For me (normal skin type), I can really feel the emollient part of the cream and it does feel moisturizing. It's not a super crazy moisturizing feeling but it feels moderately moisturzing. The first time I tried it, I tried it on my forehead and neck. On my forehead I didn't feel any stinging or tingling sensation and on my neck, surprisingly I could feel a very faint tingling sensation. Next days, I didn't feel it in more. On day 2, I applied it on my whole face (I didn't patch test it...I know...) and again, no irritation, redness or anything. It made the skin on my forehead slightly smoother but I think I need more time to really see what it can do. I've only used it every other day and used it only 4 times so again, I think I need to see what it will do if I use it for one month or so. But so far so good, I like the texture (I was scared it would be too heavy), I experienced no irritation (contrarily to my experience with AHAs), and it seems to work to exfoliate the skin. However I have the impression it's a very gentle peel and it would require something like a month or so to really see results. So I will continue using it and willl let you know what I think in a month or so. 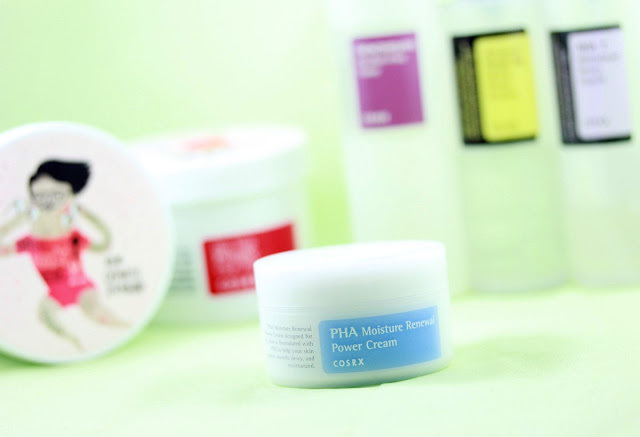 Have you already tried a PHA cream or other PHA products? I would be really curious to hear your thoughts about it! 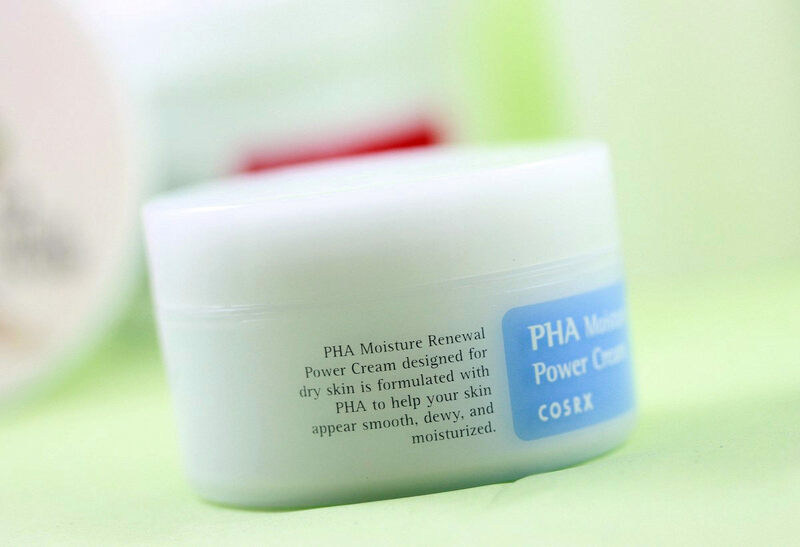 COSRX PHA cream is not available yet, it will be in a few days. You can purchase COSRX products from Jolse.com (one of my all time favorite store for K-beauty products, they offer free shipping and ship internationally). In Switzerland, COSRX is also available from TheCuratedSkin, ebeautyandcare, and niasha. Hi Marina, thanks a lot for your kind words! If you want a gentle exfoliation without drying out your skin, I think this PHA cream is a good option! Do you usually use acids in your routine (like BHAs or AHAs)? This sounds great for my dry skin. I'm always looking for something to help inject some moisture and from my experience with Korean beauty products. This looks good. I can highly recommend you this brand, cosrx, if you want to bring gentle yet effecitve products! I don't know your skin type, but they have a few really good options for moisturizers! Thank you, glad if you found it intersting! It's actually my first PHA and so far so good. It works so much better than AHAs for me! This sounds like a really interesting product. I haven't tried much Korean beauty but from what I've heard they're so good at skincare! Really interesting read, thanks for sharing! To be honest since I started using Korean products back in 2013 I haven't been able to stop using them, they have such a variety of products, good prices and very effective. 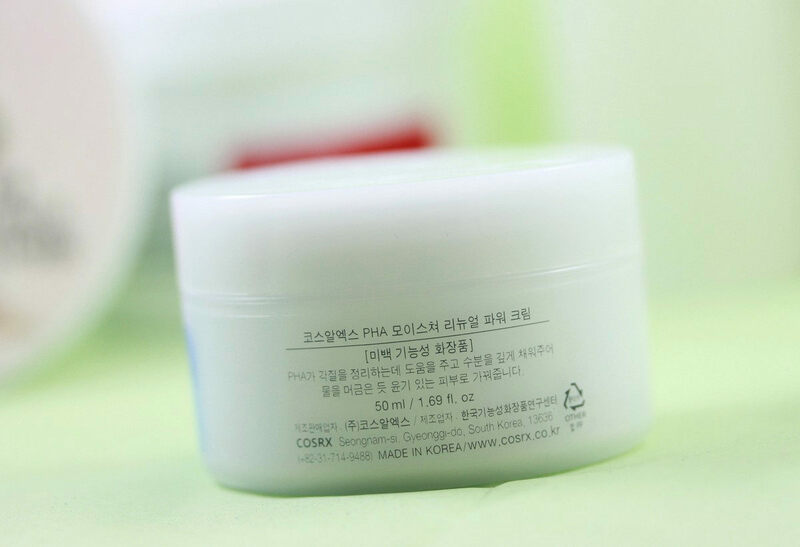 Cosrx is really a great brand if you want to try Korean products. They have gentle formula and are overall very good! This sounds amazing! I'm only just getting into skincare but this sounds great. I love how detailed your review is. I love anything with AHA in it ! I hope this is available in the US so I can purchase ! I love how in depth your post is! I've never heard of this product but it sounds like it is wonderful! I love that it didn't irritate your skin! Thank you, Stephanie! It's a brand new product that will be release on April 28th ;) I'm also very happy that it didn't irritate my skin, because you never know with acids! Hi Tasha, thank you ;) I'm also excited to see the more "long-term" results! As my skin doesn't like AHAs, PHAs seems lie a great options! it seems to be like an everyday more gentle exfoliation than AHA.